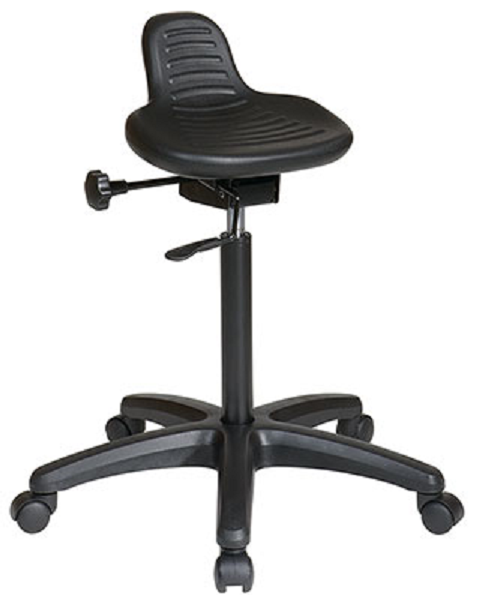 Saddle Seat Stool with Seat Angle Adjustment and Glides. Pneumatic Seat Height Adjustment. 360 degree swivel.